VICELAND: Rejected pleas by gun gang members Kaleem Akhtar, Madasser Ali, of Bradford, Asaid Salim, and Paul Wilson that their jail terms were over-the-top. Rejected pleas by gun gang members Kaleem Akhtar, Madasser Ali, of Bradford, Asaid Salim, and Paul Wilson that their jail terms were over-the-top. Rejected pleas by gun gang members Kaleem Akhtar, Madasser Ali, of Bradford, Asaid Salim, and Paul Wilson that their jail terms were over-the-top. He said the weapons dealt in by the gang had been accurately described as “an assassin’s armoury” and that, under the tough new guidelines he handed down, they might well have qualified for indefinite sentences for public protection. The judge said: “Guns kill and maim, terrorise and intimidate. That is why criminals want them, that is why they use them. 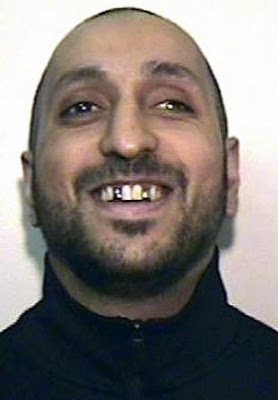 “Sentencing courts must address the fact that too many lethal weapons are too readily available, too many are carried, too many are used, always with devastating effect on individual victims and with insidious corrosive impact on the local community.” Ali, 31, of Great Horton Road, Bradford, was jailed for 18 years after pleading guilty to conspiracy. Akhtar, 31, of Abbotsford Road, Chorlton, was jailed for 20 years at Manchester Crown Court last August after he was convicted of conspiracy to possess firearms and ammunition with intent. Salim, 28, of Bedford Road, Firswood, Manchester, received ten years and eight months after admitting the same charge. Paul Wilson, 37, a cage fighter, of Liverpool Road, Southport, purchased some of the weapons from Akhtar for onward distribution and was given 11 years and six months after admitting conspiracy to possess firearms. Another of the cases reviewed and ruled upon in yesterday’s judgment concerned a man who was found guilty of turning replica guns into live weapons linked to more than 50 shootings, including the murder of PC Sharon Beshenivsky One of the guns supplied by Grant Wilkinson, 34, was used during the Bradford armed robbery that led to the death of 38-year-old PC Beshenivsky in 2005, although it was not the murder weapon. 0 Response to "Rejected pleas by gun gang members Kaleem Akhtar, Madasser Ali, of Bradford, Asaid Salim, and Paul Wilson that their jail terms were over-the-top."